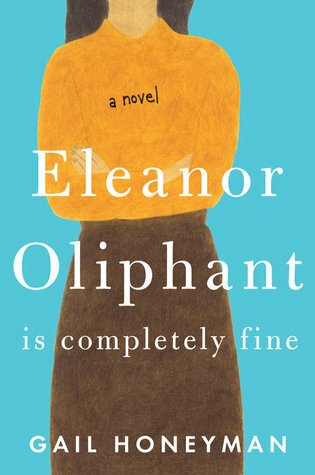 Summary (from the inside flap of the book): Meet Eleanor Oliphant: she struggles with appropriate social skills and tends to say exactly what she's thinking. Nothing is missing in her carefully timetabled life of avoiding unnecessary human contact, where weekends are punctuated by frozen pizza, vodka, and phone chats with mummy. But everything changes when Eleanor meets Raymond, the bumbling and deeply unhygienic IT guy from her office. When she and Raymond together save Sammy, an elderly gentleman who has fallen, the three rescue one another from the lives of isolation that they had been living. Ultimately, it is Raymond's big heart that will help Eleanor find hte way to repair her own profoundly damaged one. If she does, she'll learn that she, too, is capable of finding friendship--and even love--after all. Review: Every review I read of this book is positive. That's a lot of pressure when beginning a book, but boy did it live up to the hype. This is a fabulous book! I liked it from the beginning, but thought Eleanor was just an odd duck, then the story starts to reveal itself--both the Raymond storyline and Eleanor's past--and I was riveted. I don't want to give away anything about the plot so this will be a short review, but if I met Eleanor in real life she'd definitely be one of those people that I thought, "Wow. She is socially awkward. And a little rude." But before the half-way point I loved her. I love the way the author slowly reveals information, personality, and plot to the reader. By the end I found myself teary and cheering for both Eleanor and Raymond and, truthfully, all the secondary characters as well.